I love your Amazon roundups as much as your recipes! Any Amazon ideas for Mother’s Day this year? Amazon is the best! Here are some fun (and practical) finds for all types of moms... And please enjoy this adorable illustration of cartoon Hungry Girl (a.k.a. cartoon me!) 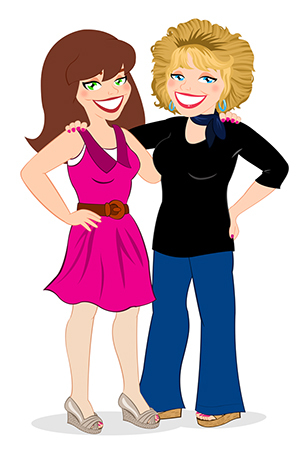 with my cartoon mom! 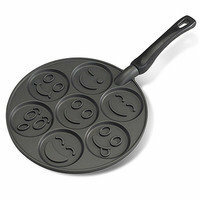 Make Mom smile with this emoji-inspired nonstick pancake pan. Each batch delivers seven mini pancakes with different funny expressions. She'll get a good laugh and a delicious breakfast! Pair it with... This super-yummy recipe for Cozy Cornbread Pancakes. 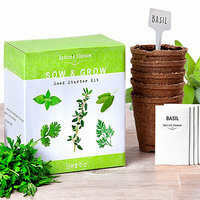 If your mom has a green thumb (or just wishes she did), this herb garden starter kit is a fantastic gift! Complete with plant markers, biodegradable pots, compressed soil mix, and organic seed packs, the compact kit is perfect for indoor or outdoor use. She’ll be sprouting cilantro, basil, and more in no time! Pair it with... Our basil-rific recipe for Pumped-Up Pesto Potato Salad. Her homegrown basil will be ready in time to make it for BBQs this summer! 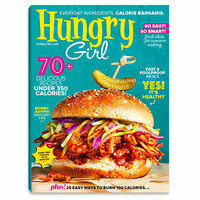 For the Foodie Mom... Hungry Girl Magazine! Pair it with... This handheld veggie spiralizer. Perfect for the eight great veggie-noodle recipes in the magazine! Is your mom always on the run (literally)? 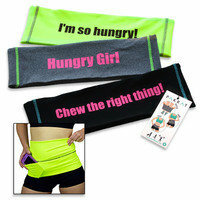 Then she needs the PakRat… It’s like a cooler, sleeker version of the fanny pack! Mom can take her phone, keys, and more on a jog or run errands without worrying about leaving her bag in her shopping cart. Bonus: Customize her PakRat! Add her name, a message of love, or an inside joke. P.S. I’m a proud aunt, because my niece-in-law started this company. Pair it with... Your favorite photo of the two of you. Slip it inside her PakRat as a sweet surprise! 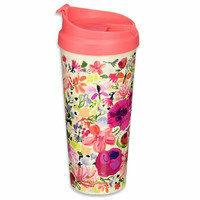 Mom will be sipping java in style with this gorgeous floral mug. It holds 16 glorious ounces of hot or cold coffee, so it’s useful all year round. Go ahead... Get yourself a matching one! Pair it with... This classic Hungry Girl creation: our Super-Duper Cocoa-rific Coffee Malt. Your mom deserves a treat, and this cake-scented bath bomb is just the thing. It creates an indulgent pink-water bubble bath! 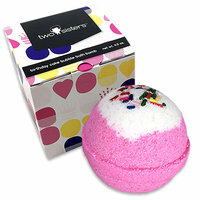 And it’s more than just a pretty package: This bath bomb is bursting with olive oil to make Mom’s skin super soft. Pair it with... A batch of these Tie-Dye-For Cupcakes! 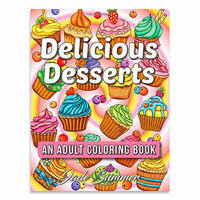 Encourage Mom’s creative spirit with this snack-tastic coloring book. It’s got 25 delicious, dessert-themed designs just waiting to be colored. The best part: This book includes a digital edition, so Mom can print her favorite pages and keep the magic going! May is National Chocolate Custard Month and National Strawberry Month. Celebrate both with our Chocolate Cheesecake Strawberries... Have 4 for 116 calories! Your friends have moms, and their moms need these gifts. Click “Send to a Friend” to share!